Blinded by love at first sight, Brooklyn’s Lewis Lane leaves listeners breathless with the electro-soul of “Take.” With the lyrical prowess and emotive delivery of early Sarah McLachlan, songstress Katherine Smith turns marital vows into poetry of the heart. Say “I Do” to “Take,” the title track from Lewis Lane’s latest EP, by watching the video for the single below. 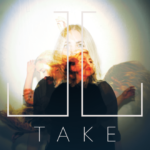 Purchase the Take EP via iTunes.